Summary: Fully furnished ranch style home with 2 bedrooms, 2 full baths, a sunroom that can be a third bedroom and one car garage. Central suburban located with easy access to Rt. 15, I-81, and I-83. 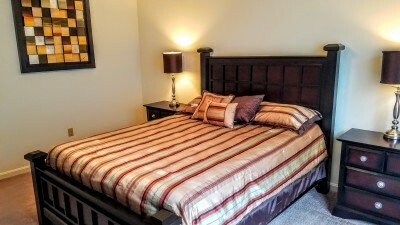 Amenity Features: In-home laundry room with Washer and Dryer, Exterior storage building, Central Heat and A/C, Linens, bedding and towels, High-Speed Wireless Internet, Customized cleaning services, Fully stocked kitchen, and carefree lawn and snow removal service. 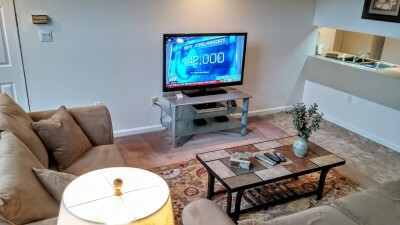 Electronics: 48" HG TV in the living room, high-speed internet, and security cameras at the front and back doors with mobile access and video recording. Spacious single floor living defines our Enola Ranch House. 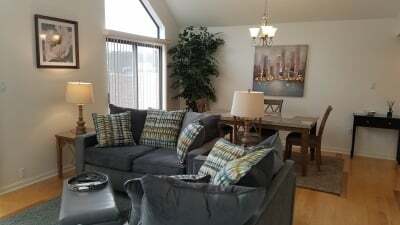 This fully furnished two bedrooms, two bath single family home is the epitome of comfortable living for your extended stay. The home offers approximately 1225 square feet of living space along with a private single car garage and a well-maintained yard. Entry is from ground level from either the homes main front door or interior garage The main living area provides an open floor plan that connects a well-equipped kitchen, dining area and living room to two double sliding glass doors that access a spacious three seasons room with faux fireplace. The main level also contains the master bedroom suite that includes a private full bathroom and large walk-in closet. 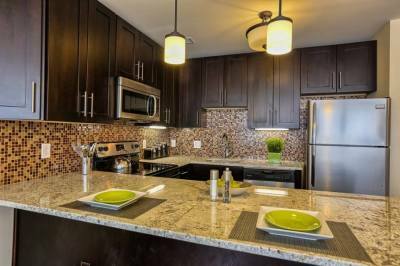 A separate laundry room provides your in-unit washer and dryer. An open floor plan leads to the second bedroom and full bath. 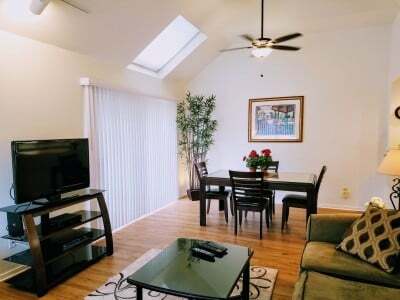 A 48' Flat panel HD TVs is provided in the living room. House-wide wireless internet and cable service are provided by Verizon. Further amenities include a refrigerator-freezer, microwave oven, self-cleaning oven, garbage disposal, automatic dishwasher, central air, and heat. With close proximity to I-81, US 15 and I-83, the home is located 2.5 miles from Geisinger Holy Spirit and 2.5 miles from PinnacleHealth West Shore. With such a convenient location you can be anywhere in the Harrisburg metro area in minutes. Shopping malls, grocery stores, hospitals, restaurants, and area activities are only moments away. Local points of interest include Hershey Park, Historic Gettysburg, Downtown Harrisburg, Riverfront Park, City Island, Ski Round Top Mountain Resort to name a few. Guests interested in this property also showed interest in these homes in Mechanicsburg, Camp Hill, Carlisle, and Harrisburg. For more information on our alternative locations please "click the photographs" or links below.